“The Ambassador met Presidential Advisor Basil Rajapaksa, younger brother to President Mahinda Rajapaksa, on October 4. After the Ambassador reviewed US priorities and initiatives in Sri Lanka, Rajapaksa spoke frankly about human rights issues, requesting that the United States and Co-chairs help the Government of Sri Lanka (GSL) improve its human rights capability. Rajapaksa spoke of the GSL’s humanitarian efforts in Jaffna ‘to win hearts and minds’ while defending the country against terrorism, citing the Ministry of Defense’s (MoD) desire to purchase US Bushmaster cannons for the Navy. The President’s Advisor also noted that the GSL has expressed interest in returning to peace talks ‘sooner than later,’ on October 14.” the US Embassy Colombo informed Washington. The Colombo Telegraph found the related leaked cable from the WikiLeaks database. The cable is classified as “CONFIDENTIAL” and recounts details of a meeting US Ambassador to Colombo has had with President’s advisor and his brother Basil Rajapaksa on October 04, 2006. 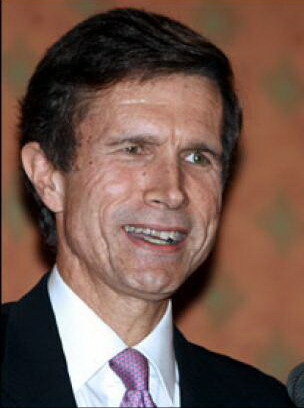 The cable was written by the US Ambassador to Colombo, Robert O. Blake. Classified By: Ambassador Robert O. Blake for reasons 1.4(b,d). Air Raids to "Keep the South Happy"
wish to help the GSL strengthen its human rights record. neighborhood in Colombo that morning. "President is Keen on Human Rights"
minimized harassment by the police." "Douglas and Karuna, control your cadres." cadre for the kidnapping-for-ransom of a Colombo businessman. ¶9. (C) "We have had trouble with other Tamil groups,"
Uthayan newspaper office in Jaffna. "Winning Hearts and Minds in Jaffna"
supplying food despite the cost." This man Robert Blake was the main supervisor of the Staged War Drama representing the American Interest. I Do not care about That Bloody HUMANRIGHTS. when the purchase order approved. OK ,REMBER THAT Mr BLAKE. But you can not reclaim the lives of 70000 Tamil civilians killed by the SL Army. @Anjula – why complaint -karuna did exactly what the Zionist did – They got Hitler the ill begotten sicko from the streets and made him the boogeyman and got the job done, and the Suni Muslims (traditionalists crooks among Muslims – to protect all their ill earnings ,they have created Boogey sects , whabis etc etc, to work with the idiots like in Myanmar & Sri lanka, now that Karuna’s Job is done and they got their own Cheap Minister ,Unsuspecting poor innocents Muslims are to be slaughtered for the gains of drug peddlers.human smugglers, The Undiyal(Money launderers ) bxxxds, fks who use unsuspecting innocent western women as marriage of convenience , and not forgetting the Pettah mafias — when will we understand the bottom game is money at any cost..
Don’t forget the iftar the suni buggers had with Gota- everything is a big game..